Maserati threw a celeb-packed launch party to mark the arrival of its new Levante SUV in the UK last night, revealing the ambition for its new Porsche Cayenne rival by its takeover of the Royal Horticultural Halls. Sophie Ellis-Bexter, Alex James, ‘Little Mix’ Leigh-Anne Pinnock and actress Olivia Grant all turned out to the event hosted by Lisa Snowdon; music was provided by star daughter duo Amber Le Bon and Becky Tong. Maserati turned the music down for a few minutes so its European general manager Giulio Pastore could say: “The launch of the Levante tonight marks a truly significant moment for Maserati in the UK. Maserati also revealed the long-awaited pricing for the new 5-metre-long luxury SUV: the Levante Diesel will cost £54,335 in regular guise, for £60,285 in either Luxury or Sport form. There will also be a fancy Levante Zenga Edition, featuring Zenga Mulberry Silk trim; this will cost £61,185. Ordering starts in June with Maserati predicting the first UK cars will arrive in the autumn. They’ll quickly begin to swell Maserati sales too: in its first full year, 2017, the firm expects the Levante to double its UK volume, to over 3,000 vehicles. 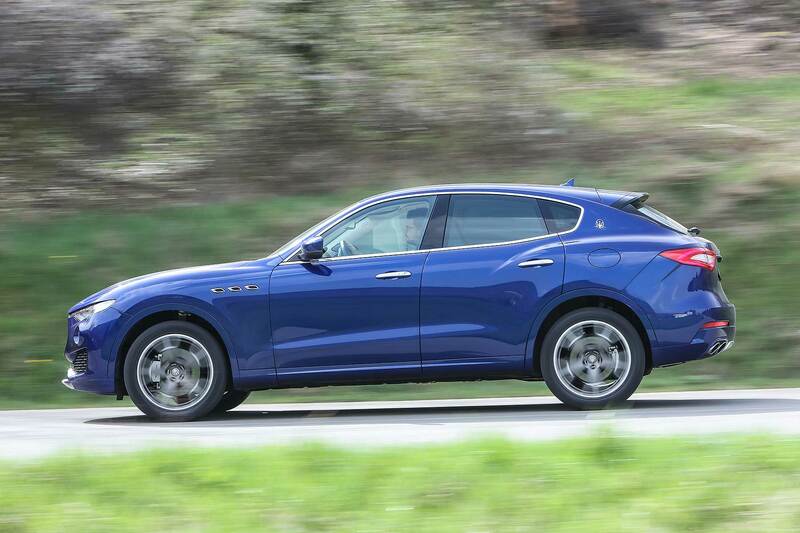 2016 Maserati Levante review: can Maserati really make an SUV? 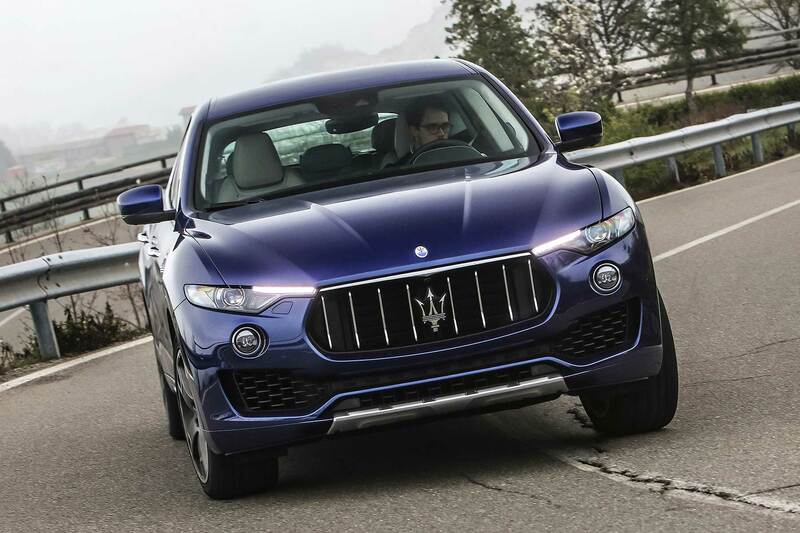 The Maserati Levante is the first SUV from the famous Italian brand and thus, by its nature, a controversial one. Fans of sports cars swooned when Porsche said it would make an SUV yet the smash-hit success of the Cayenne has led every premium brand worth its salt to follow: now Jaguar’s made one, Lamborghini’s planning one and Maserati’s launching one. The Levante is a large SUV, more than 5 metres long, so it competes with the Cayenne rather than the Porsche Macan. The five-seat model uses the same architecture as its turnaround Quattroporte and Ghibli, including the same engines: V6 turbo, either petrol or diesel. Prices will start at around £53,000 – £55,000 when ordering starts in the UK this summer. First deliveries will be in the autumn and Maserati reckons it will double its British volume, to around 3,000 units a year. 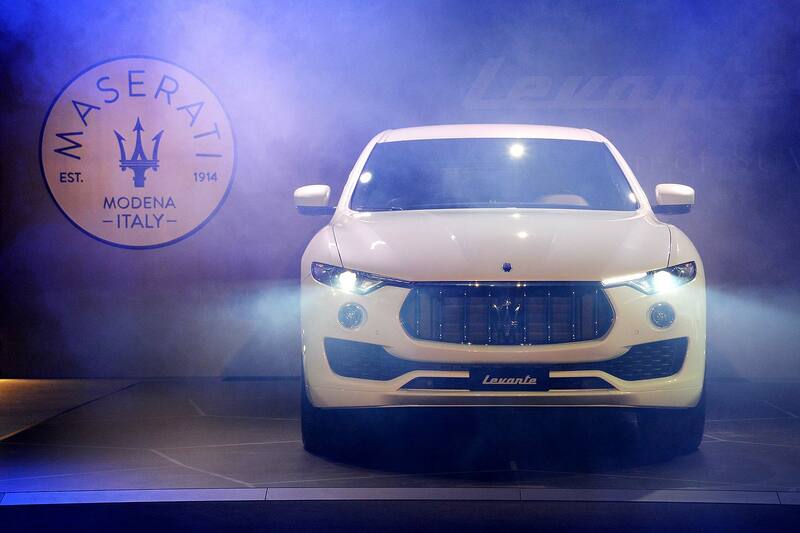 The Levante is a big deal for the revered, revived and growing Italian premium brand. Will this be the car that does a Cayenne for Maserati, giving it the financial strength to grow and launch beautiful new models such as the Alfieri concept? Is it a compelling new sports SUV that drives well enough and looks good enough to sway the naysayers? To Italy, to find out. First thing, the styling. Social media’s first reaction hasn’t been convincing and we weren’t convinced when we saw it poorly lit in blocky white at the 2016 Geneva Motor Show. Cue the usual modern car excuse: you need to see it in the metal. 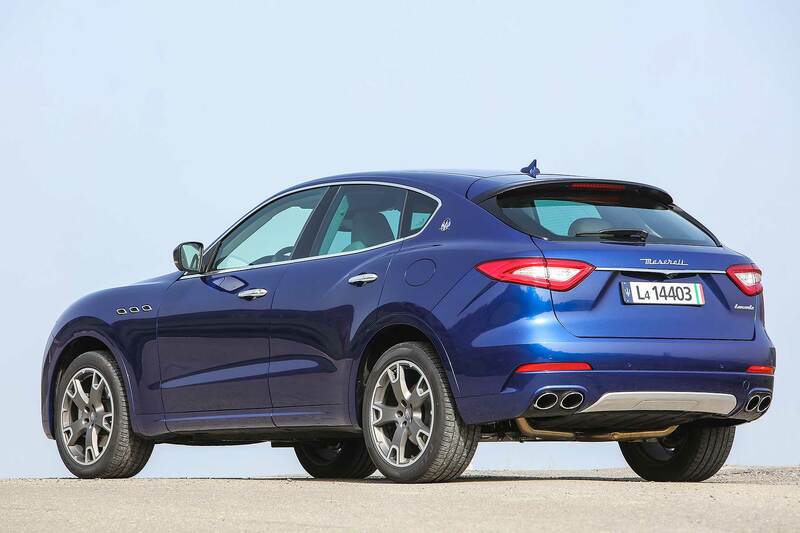 The Levante is a big car, with striking proportions – a long bonnet, a cab-back look. With its sleek roofline and bold rear haunches, it has attitude. It makes a Cayenne look a bit top-heavy and snub-nose. The grille looks enormous in images (it is enormous, intentionally), but proportionally works in the metal. Besides, modern Maserati likes big grilles. The designer told us the front was created to make an impact, the sides to carry it off and the rear to be beautiful and elegant. The rear is the bit I kept coming back to. Its curvaceous tail and super-pumped haunches look terrific (hang the rear three-quarter visibility!) and, trident badge sitting proudly above, will sell the Levante in showrooms alone. The Ghibli is not a roomy car. Not compared to rivals the Audi A6 and Mercedes-Benz E-Class. The Levante, which is derived from the same flexible architecture, could thus have stumbled here. It doesn’t, thanks to 5,003mm of length, 1,968mm of width and a 3,004mm wheelbase. It’s still not particularly space efficient, not like a Jaguar F-Pace, but the sheer size liberates just enough room in the back for adults, plus a boot that’s as double-take big as the Ghibli is small. 580 litres is commodious and the beautifully finished trunk is long and wide, if not the deepest. 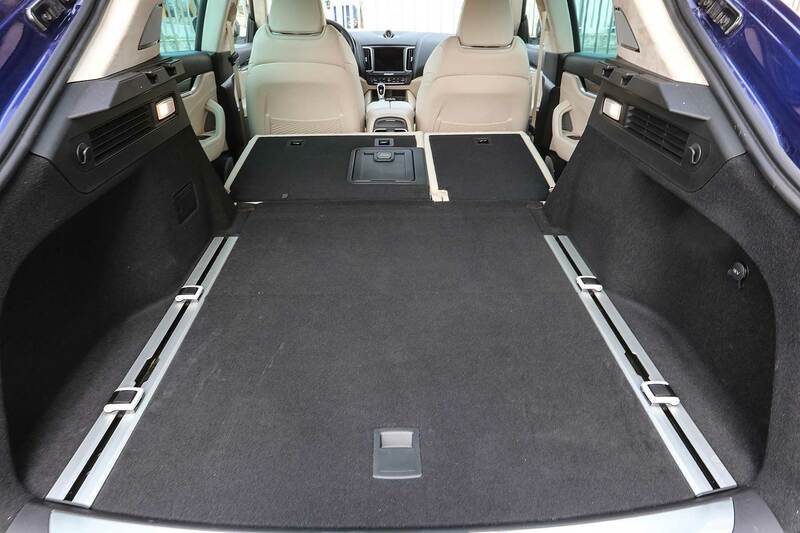 Details like the delightful Alcantara parcel shelf compensate (and all have an electric tailgate). Front seats are firm and supportive, more like sports saloon than SUV seats (a theme, this…) and the two outer seats in the rear are semi-bolstered, which is a nice touch. You even get a decent view out around the front seats, and the same ‘stay-clean’ door openings as a Land Rover (and Jaguar F-Pace). 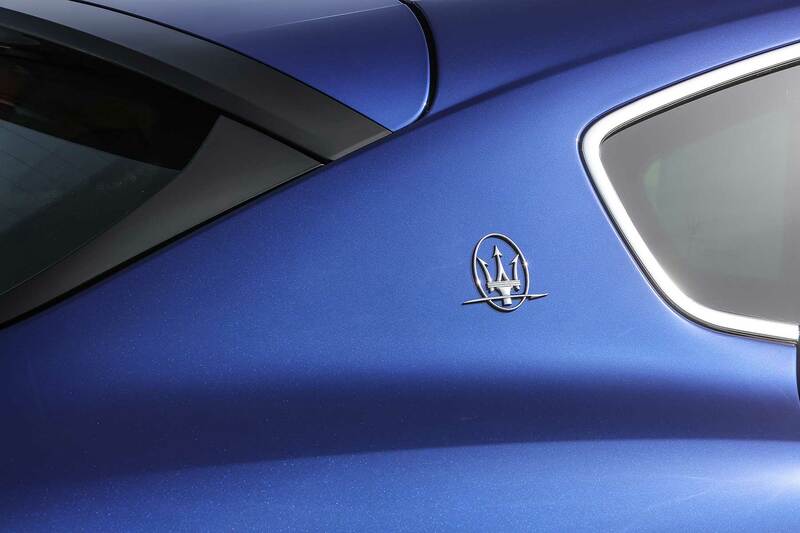 Another potential hurdle for Maserati: quality. Porsche is a formidable rival. What must have been an immense effort has delivered a Levante up to standard. You sit SUV-high in step-up interior but still feel like you’re sitting low, and Maserati cowled dials, steering wheel and pistol-grip gearshifter are further saloon cues. It has lots of depth, acres of beautiful leather (in the test cars at least) and a clear, contemporary modernity no other current Maserati matches. There’s ergonomic attention to detail and, most significantly, the step-up material quality. It’s hard to find jarring low-rent plastics, impossible to find old Fiat hand-me-down switchgear. Maserati has stepped up its game here and it’s evident throughout. The 275hp 3.0-litre V6 turbodiesel is built by an Italian company called VM. In the Ghibli, it’s OK: in the Levante, it’s very good. It’s smooth, more than fast enough (0-62mph in 6.9 seconds) and responsive. It also sounds like a throbby V8, thanks to two Maserati Active Sound actuators on the exhaust tailpipes. Ferrari co-developed and builds the Levante 3.0-litre petrol V6, offered in 350hp and 430hp guise. The 430hp version sounds sublime. It growls, wails, the exhausts bark and yowl at high revs, indecently and brilliantly loudly. It’s very Italian and very wonderful. Don’t get caught at low revs in the diesel: it’s a single turbo and the 2,200kg kerbweight shows when it’s not spooling fast enough. The petrol is much better here: it’s parallel twin turbo so there’s less inertia to overcome at low revs: peak torque of 427lb-ft is from 1,750rpm, rather than 2,000rpm in the diesel. Clearly, every little helps. 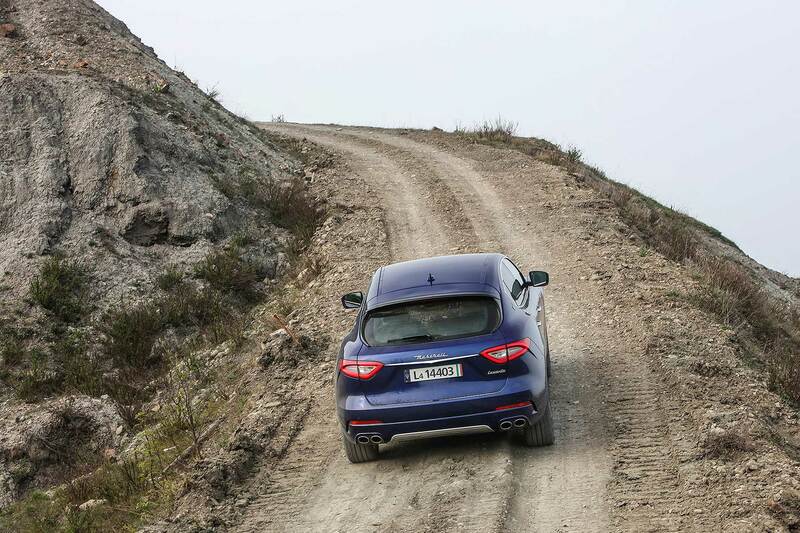 Maserati hasn’t kept the weight down but it has kept the centre of gravity down, lower than any rival SUV, in fact. It has a 50:50 weight distribution, rear-biased four-wheel drive system, limited-slip differential, torque vectoring and on-demand Q4 AWD. Roll is minimised and it’s both not so nose-heavy in corners and well balanced as you press on. Almost uniquely for a new-launch car, it also has hydraulic power steering, which is positive, well-weighted and nuanced enough to wish it didn’t use so much fuel. 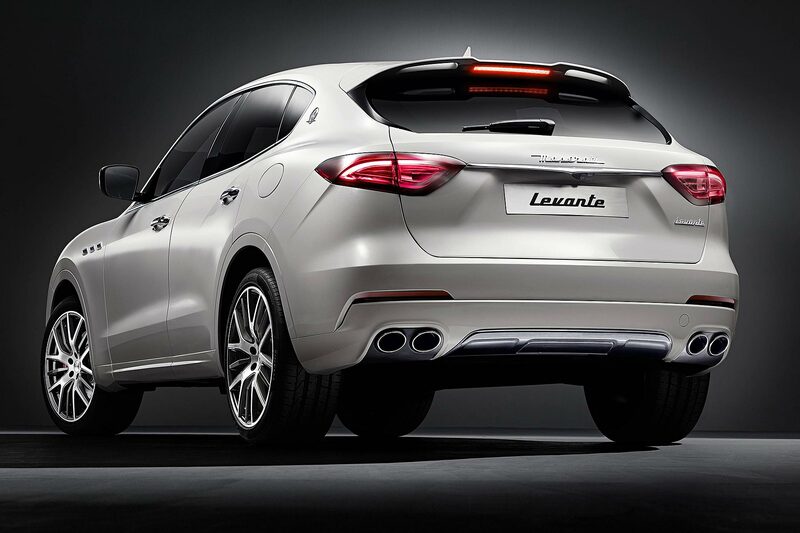 The sportiness and fluidity of the big Levante is a surprise. It genuinely handles engagingly, confidently, accurately, with driver-pleasing dynamism and none of the soggy wallow you’d fear from an SUV. It certainly has much more integrity than we were expecting, this Maserati. Early in Levante development, Maserati sought advice from the SUV experts in the Fiat Chrysler Automobiles group – Jeep. There are worse 4×4 gurus to pick the brains of. It then went and did its own thing, with its own technology. 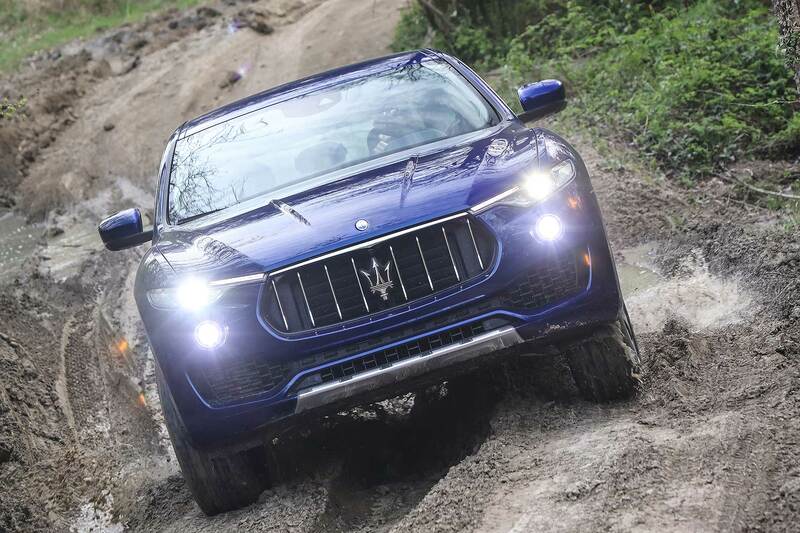 The combination has created an SUV able off-road, so long as it’s not too extreme: pretty much anything any Levante owner will ask of it, the Maserati SUV copes. Traction is good, grip is good, the various systems and adjustable ride height are smart and the electronics are discreet, helpful, well-developed systems that show the finesse and expertise of presumably having Jeep’s watchful eye via a plane from Toledo, Ohio if they wanted it. Key to it driving so well is the expensive standardisation of air springs and Skyhook active dampers. We didn’t want it to drive like a traditional SUV, the chief engineer told me: so we had to have them. Air springs means a cushioned, absorbent ride at speed (despite the 20-inch wheels of the test car); Skyhook means it’s tied down and free from the float less sports-focused air-sprung cars exhibit. Air springs also means adjustable ride height, Skyhook means at-a-press suspension stiffening without the harshness that comes with it. The system gives a special, premium feel to how the Levante rolls along, and the configurability, from two levels of sport to a full-travel off-road mode, may require a confusing combination of pressing buttons and toggling levers, but delivers in practice. Existing Maserati infotainment systems are clunky and past-era. Not ideal when premium rivals are pushing ahead and buyers are increasingly buying cars based on smartphone-like gadgetry. Enter an all-new infotainment system that’s night and day better. It looks classier, with crisper graphics and a nicer capacitive touchscreen; even better, it incorporates Apple CarPlay, which will be an instant win for anyone who’s ever tried it. Simply plug in your iPhone and you’re away. It has fancier mapping, prettier logic and is backed up by a more comprehensive colour screen in between the analogue dials The work’s been worth it here, Maserati. The Levante has an appealing roll-along feel that’s luxurious, refined and together. Its body control is well bred, the ride is generally quiet and the engines, while usually audible (intentionally – it’s part of the sporty character), make a rich and premium range of noises. 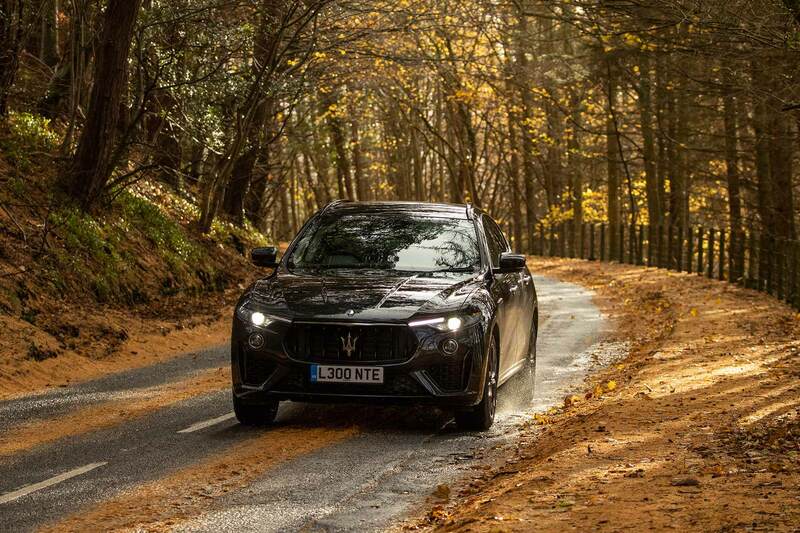 It’s a car that has appeal and makes you feel good about yourself, while also proving adept on the road and, in the same way that SUVs from Porsche and Jaguar are genuine Porsches and Jaguars, justifies Maserati’s tagline that it’s the Maserati of SUVs. The Maserati Levante surprised us. It is a convincing luxury SUV with a sporty character and impressive driving manners. 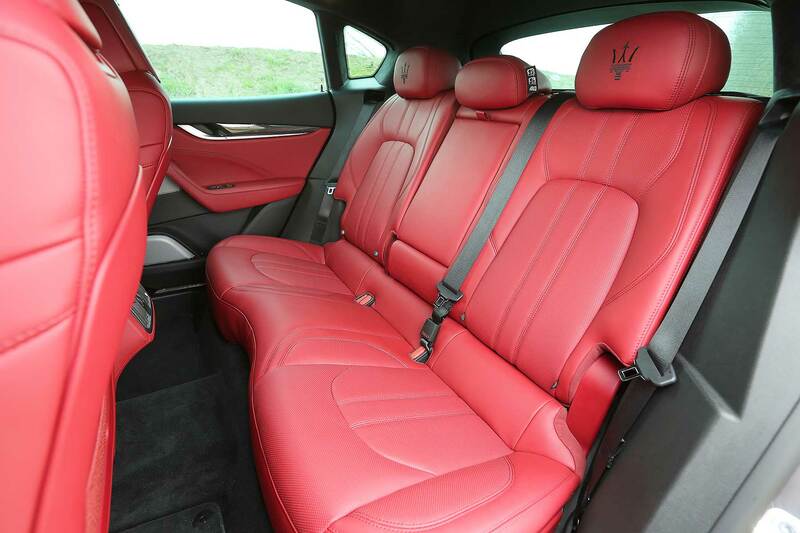 The interior is roomy enough, quality and tactility is high and Maserati has brought key areas such as infotainment and build quality up to scratch. 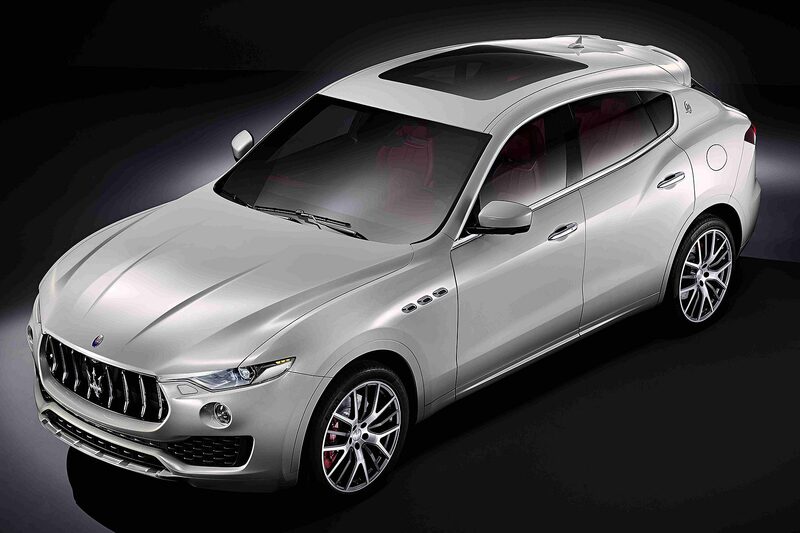 You may not be sure of the looks, but reserve judgement until you see the big Levante in the metal. 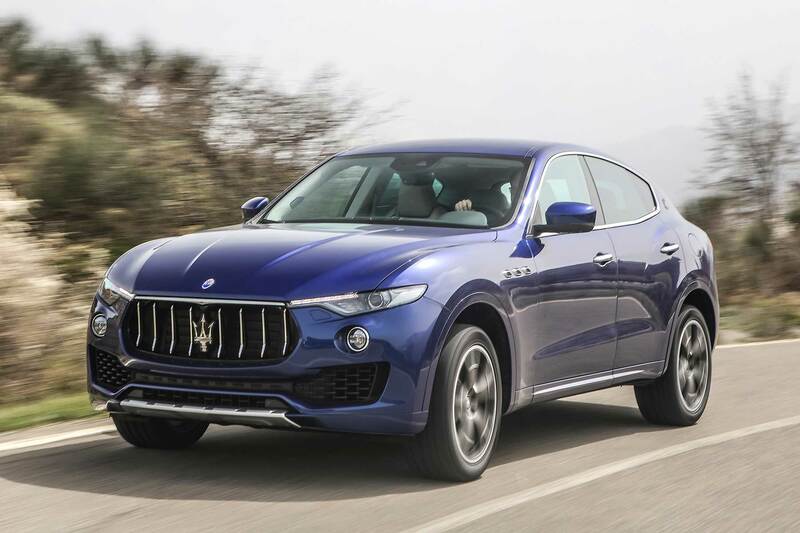 A potentially well-priced large SUV that brings something new to the market, it shows that Maserati can make an SUV – an impressively rich and appealing one at that. https://www.motoringresearch.com/wp-content/uploads/2016/04/Maserati_Levante_2016_01-1.jpg 1200 1800 https://www.motoringresearch.com/wp-content/uploads/2018/12/mr-top-motoring.svg 2016-04-13 08:02:522016-04-13 08:02:522016 Maserati Levante review: can Maserati really make an SUV? 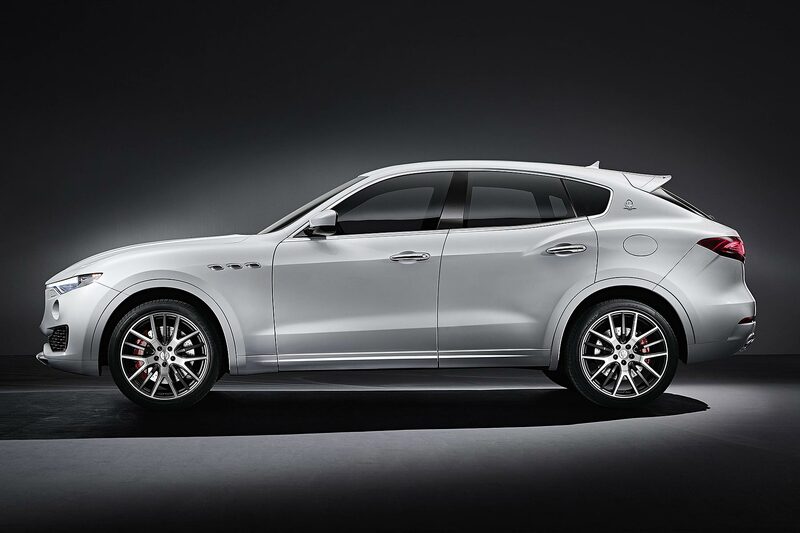 The Maserati Levante SUV has at last been officially revealed by the evocative Italian firm – its first-ever SUV that will make its public debut at the 2016 Geneva Motor Show. 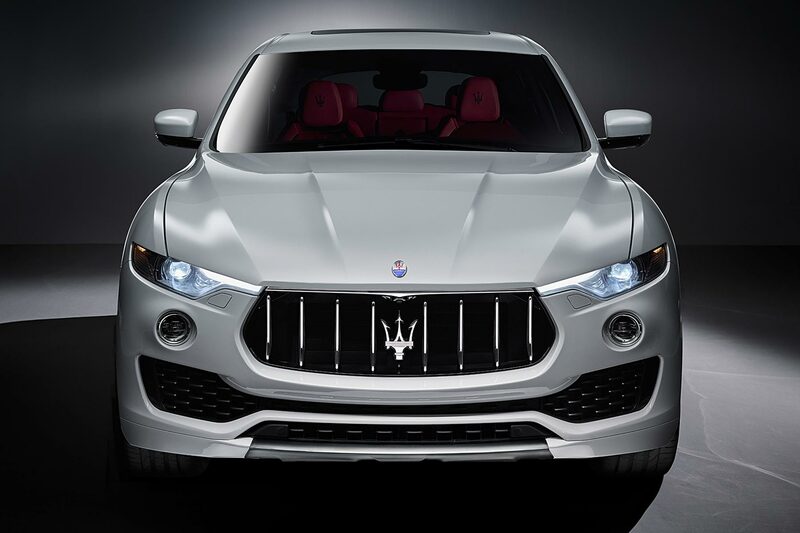 A key part of Maserati’s future strategy, the Levante will go head-to-head with the Porsche Cayenne; drawn from the Quattroporte platform, the firm will be aiming to give it a similarly sporting setup. 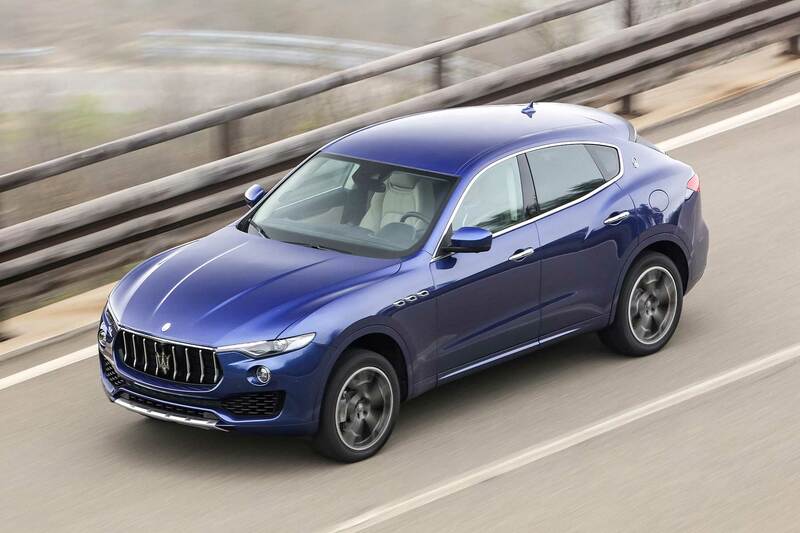 Indeed, this is partly why the much-anticipated Levante is so late to market: earlier iterations were based on the Jeep Grand Cherokee platform, but Maserati felt this simply couldn’t be made sporty enough. Hence, the switch to the air-suspended, all-wheel drive Quattroporte, making it 100% Maserati (and a year late). Maserati is stressing this is just an exterior styling reveal for now, possibly influenced by leaked images of the car being published earlier today. We’ll have to wait for Geneva to see the interior and find out confirmed stats from what’s under the bonnet (and thus just how high-performance this sporty SUV really is). We know mechanically what’s behind that big, bold grille though: the V6 turbo petrol and diesel engines, and the V8 turbo petrol, of the Ghibli and Quattroporte. All-wheel drive will be standard too, although Maserati will not wish to pitch this as a go-anywhere alternative to a Range Rover. Its natural home is on-road. The styling? This is likely to be the controversial bit. But Maserati insists the associations with brand heritage are clear: the three air vents on the front wings, trapezoidal C-pillar with Saetta logo and frameless door glass. It has a sporting-look rear with tapered roofline and bulging arches, although the front end appears more bluff and upright in images. We look forward to seeing it in the metal. Customers won’t have to wait long for it either. Surprisingly, Maserati has revealed production of the first cars has already begun – and deliveries in Europe are scheduled to begin in the spring, with the rest of the world following later in 2016. 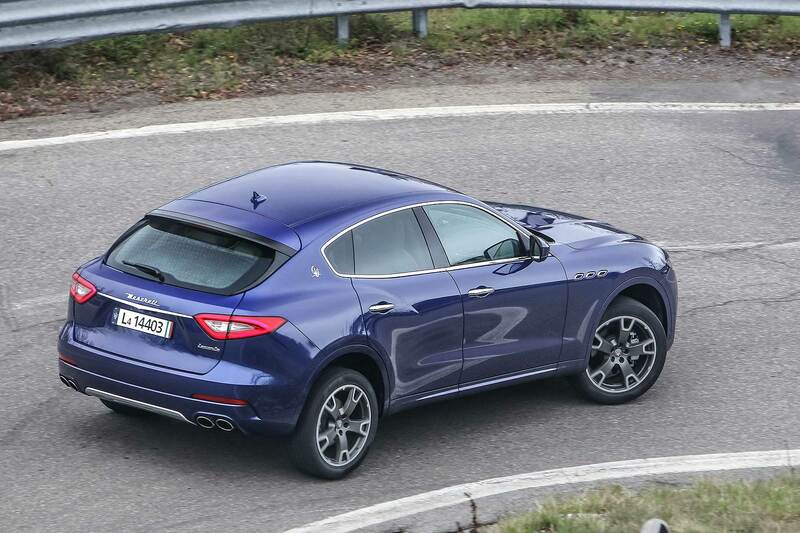 Maserati is desperate for the Levante’s arrival. It previously set an ambitious goal of reaching 50,000 sales in 2015, a remarkable turnaround after years in the doldrums. 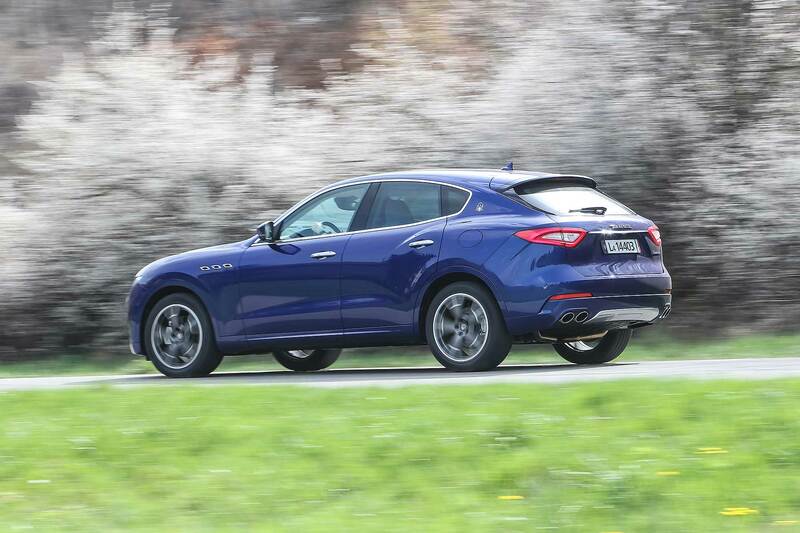 It missed this by more than 15,000 cars – because the Levante was a year late. 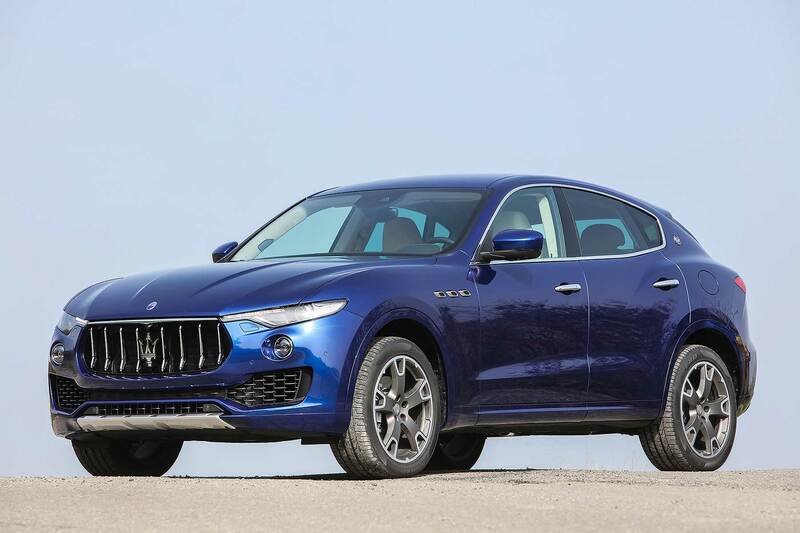 Sales predictions have thus been revised but the Levante will have to perform straight out of the box if Maserati’s plans are to get back on track. For now, all we have to go on are the looks. Over to you: does it seem like a winner, or would you rather take a Porsche Cayenne or Jaguar F-Pace instead?